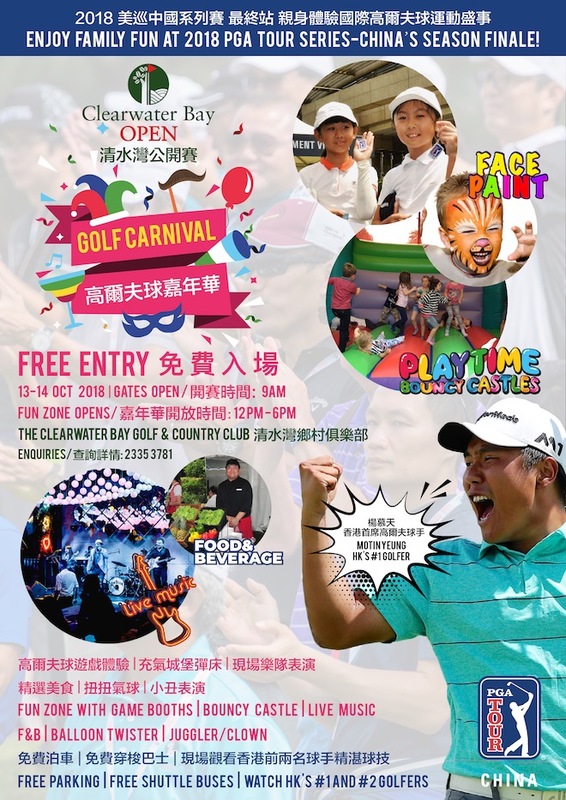 Register free for a ticket and then scan the ticket’s QR code (print or on mobile phone) at the Public Village on October 13 & 14 (Sat & Sun) to enter a Lucky Draw to win two Free Rounds of Golf at The Clearwater Bay Golf & Country Club. A total of 20 Free Rounds will be awarded over the weekend. Please note: Ticket is not required for entry. 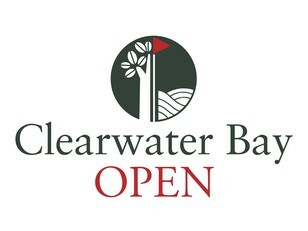 Watch Hong Kong’s top pros Motin Yeung and Jason Hak lead the local charge at the at the third Clearwater Bay Open, the PGA TOUR Series-China’s season-ending showdown. Bring the whole family to enjoy the Public Village and new Golf Carnival with face painting, jugglers, live music, bouncy castle, game booths. Enter Lucky Draw on October 13 & 14 (Sat & Sun) when 20 rounds at Clearwater Bay will be given away to 10 winners (2 free rounds each).